It’s quite rare for two countries to completely liberalise their air service agreement and then one of those countries to have no immediate interest in expanding services. But Australia did and has been rewarded handsomely. 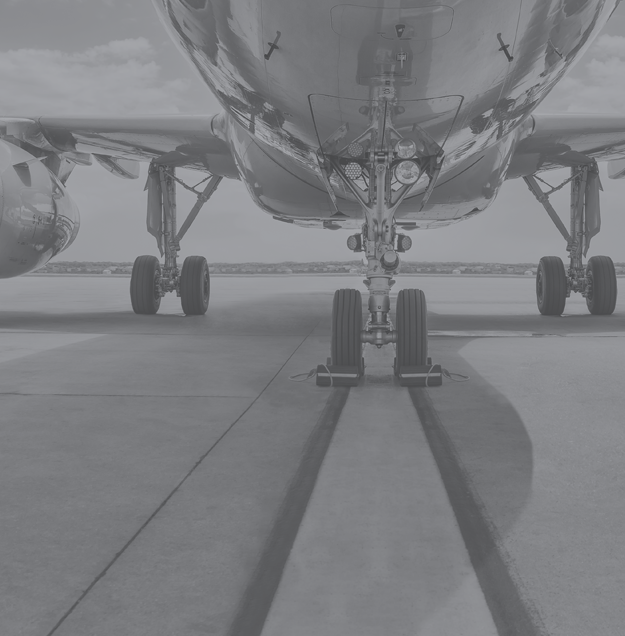 The formal announcement of an “open aviation market” between China and Australia in December 2016 formalised a period of growth that saw the number of frequencies increase by over 45% from 2013 to 2016, and capacity grow by an even stronger 50%. In 2017, nine new city pairs have been launched between the two countries as the chart above highlights. We frequently hear about the ’perfect storm’ of events conspiring against a situation but in this case, it’s the complete opposite - a ’perfect summer’. Three key factors appear to have been all working in perfect harmony; the expansion of international services from Chinese carriers, the increased connectivity of secondary Chinese cities and the continued weakness of the Australian dollar. As the table below highlights, Australia is the fourth-fastest international growth market for Chinese airlines this year and has consistently been among the top five markets for the last five years. In 2013, four Chinese-based carriers operated to Australia. This year that has doubled to eight scheduled airlines with carriers such as Xiamen Airlines and Hainan Airlines building their presence. During the last five years, the number of originating markets from China has more than doubled from the original six cities as markets such as Chengdu, Xian and Wuhan have been added. There has also been a notable focus on Eastern coastal destinations in Australia. Indeed, Perth on the West Coast has seen no new service despite the rapid increases in activity. 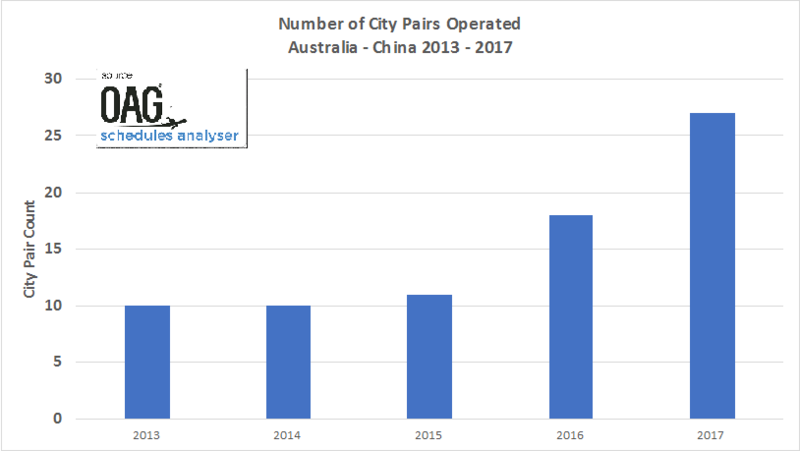 Furthermore, on many of these new market pairs, the traffic has predominantly originated from China reflecting the increasing levels of tourism-related travel from China to Australia. In 2016, 1.2 million Chinese visitors travelled to Australia, an increase of 17% on the previous year, which was itself up by 22% on the year before. In the last two years, visitor numbers have increased by 43%. All of this places China as the second largest source market, after New Zealand; with a significantly above-average spend per traveller, the economic value of these travellers cannot be underestimated. Part of the attraction in Australia for the Chinese market in recent times has been the strength of the Yuan versus the Australian dollar. At its peak in September 2015, the Yuan had appreciated by 48% in value compared to August 2012; today that currency benefit equates to 27% extra spending power. Perhaps the most interesting aspect to all of the development over the last five years is that all of the new capacity has been introduced by legacy airlines; there remains no low-cost airline presence in the market. And yet, low-cost long-haul has in many cases been pioneered from Australia. 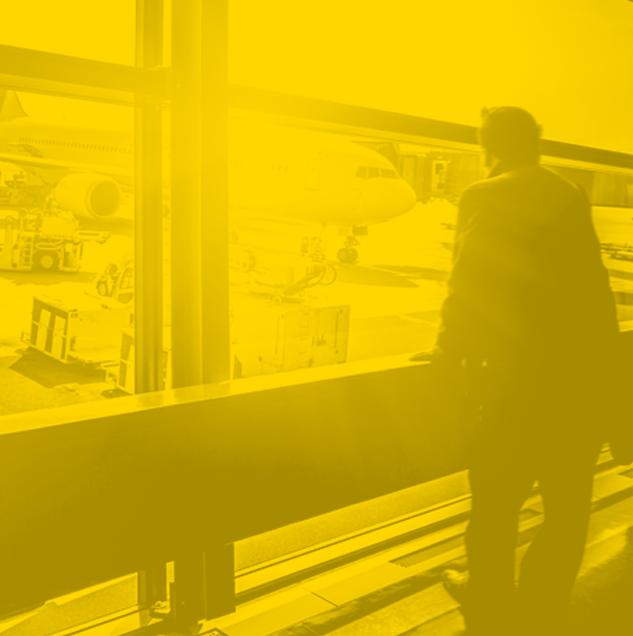 Very soon it is likely that a low-cost airline will enter the market; additional capacity in Beijing will open with the new Daxing Airport, secondary Chinese city development continues to accelerate and supported by very large outbound demand from China, low-cost services are inevitable. At that point, whilst the number of city pairs may not grow as rapidly as in 2017; traffic volumes certainly will continue at the double-digit levels we have seen in recent years.